Trying to decorate for Easter coming up but don’t know how? Easter is one of those holidays that either people don’t decorate at all or just don’t know how to decorate for. Believe it or not, you can have an Easter feel in your home with just a couple simple decorations without breaking the bank. 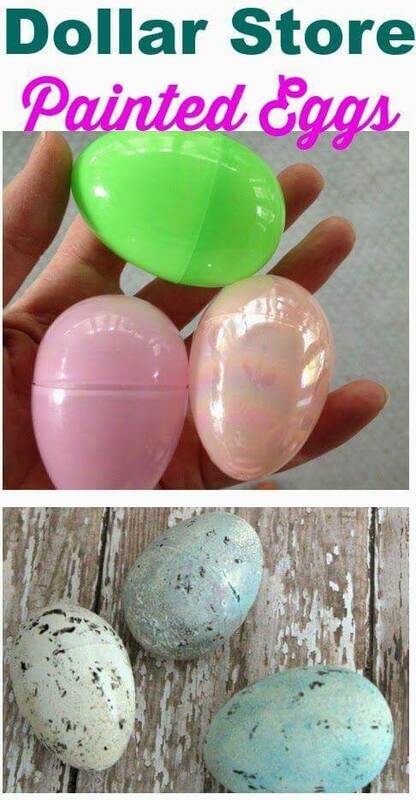 Everyone is familiar with the plastic eggs used for Easter egg hunts right? Well these can be awesome to decorate with! You can either buy them at a dollar store or your local grocery store. One example of a good way to decorate with them would be to simply put them in a glass vase in the center of your table with some colorful confetti. This makes a perfect Easter table centerpiece. Another pretty simple idea is to paint mason jars with pastel colors and fill them with candy! Not only is this a cute idea but it is also a fun craft that you could do with your husband or kids! These jars when done are perfect to put anywhere around the house. 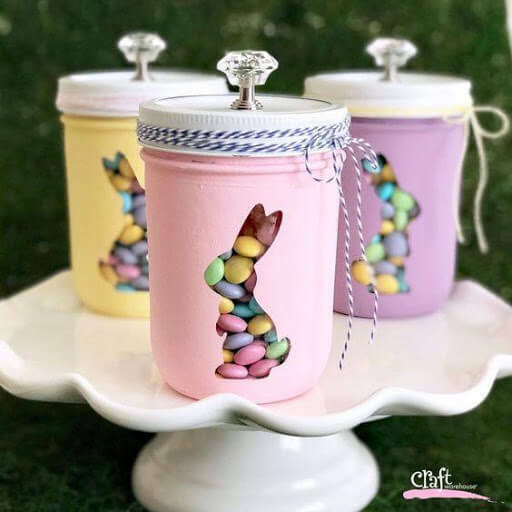 You can fill them with whatever kind of candy you want but if you wanting to fill them with Easter candy you could buy either jelly beans or Cadbury eggs! One huge thing that makes everyone think of spring and Easter is flowers! Having colorful flowers around the house is an easy way to decorate and celebrate spring and Easter! One specific type of flower that is particularly popular at this time of year is tulips. 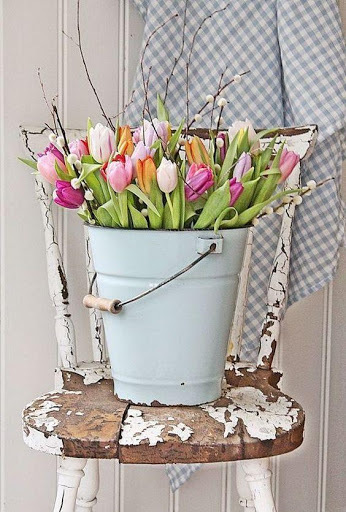 Tulips are typically a collection of florescent pastel colors that go great with any other Easter decorations you may have around the house. A lot of families have the tradition of dying, painting or drawing on hard-boiled eggs around Easter time. 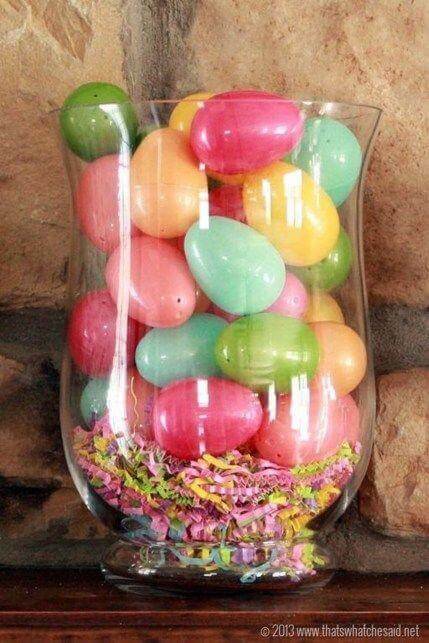 This can also be used as a decorating idea but instead of hard-boiled eggs you can paint plastic eggs for decoration! These are just as cute and they don’t go bad as hard-boiled eggs do. These few decorating tips can help your home feel more festive within minutes! All of them are simple, affordable and fun things to do with your kids and loved ones!